Order in next 13 hours and 24 minutes for despatch today. 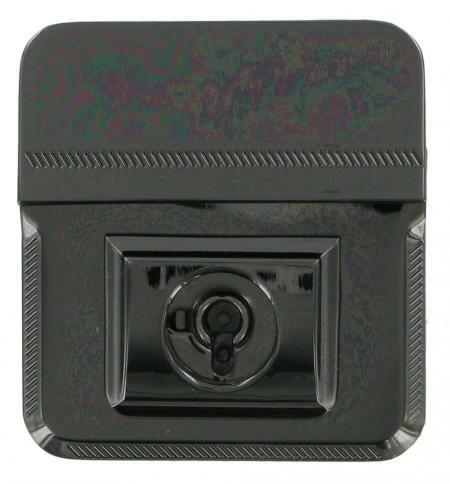 Gun Metal Soft Briefcase Key Lock. This replacement gun metal key lock suits many soft briefcases and in the past we have found it to be suitable for Bridge and Tony Perotti briefcases. It comes in gun metal finish as shown. The hasp engages onto the flap of the bag and is help in position with two grub screws. The lock is clenched into position with four fold down metal spikes on the front panel of the bag. The Lock is supplied complete with all parts needed for fitting, including screw on hasp, back plate for lock and key.